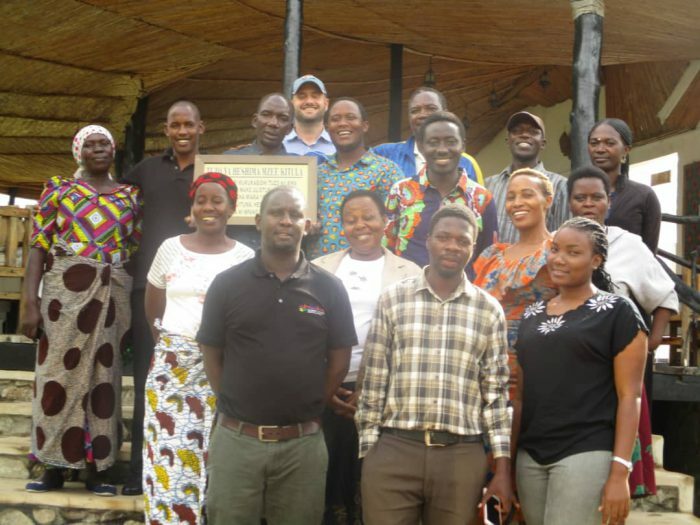 This past Friday, the staff, students, and community of Kitongo gathered together as Mzee Kitula, our Campus Manager at our flagship campus, was presented with the equivalent of a “Lifetime Achievement Award”. Mzee Kitula has been with Mainsprings for 10 years now, and this award was given to him to recognize his countless contributions to our organization and campus over the past decade. Mzee Kitula stands with his wife and plaque with the Kitongo Management and Central Administration teams. Mzee Kitula has built nearly every structure on the Kitongo campus, has input on nearly every project and program, and has been a friend, advisor, and teammate to hundreds. He is a perfect example of one of our local leaders who is helping lead the charge for community empowerment in rural Tanzania. Mzee Kitula was given a plaque during the Friday school assembly which will then be hung in his honor. 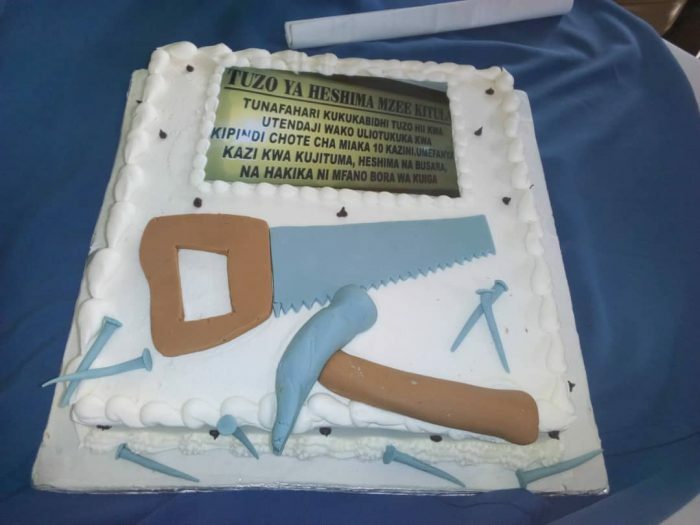 He then celebrated, along with the Kitongo management team, Central Administration team, and his wife “Mama Kitula” with cake and sodas at Papa’s.